Do you still use dull and typical wallpaper? 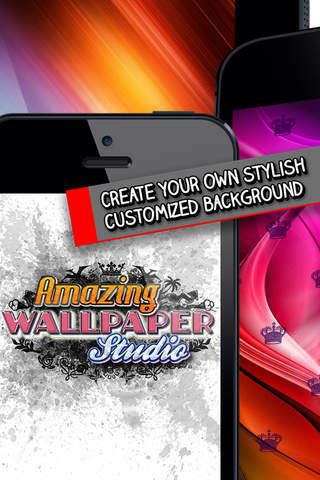 If you are looking for an easy way to add some variety to your background, then Amazing Wallpaper Studio can will help you to make a stunning colorful and minimalist wallpapers easily. Handcraft your own stylish background just as you like them thanks to a great library of embedded HD background images and patterns. 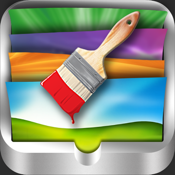 Customize the wallpaper with your own pictures from the device Photo Library or Camera Library. There are literally hundreds of thousands of combinations you could create. Preview the result, and if you're satisfied, save it to your Photo Library and then set it as your background and/or lockscreen wallpaper (or alternatively use it as a Contact graphic). You can also share the image via email or Facebook. The moment you experience Amazing Wallpaper Studio, you’ll be able to see your newly born iPad, iPhone or iPod Touch.